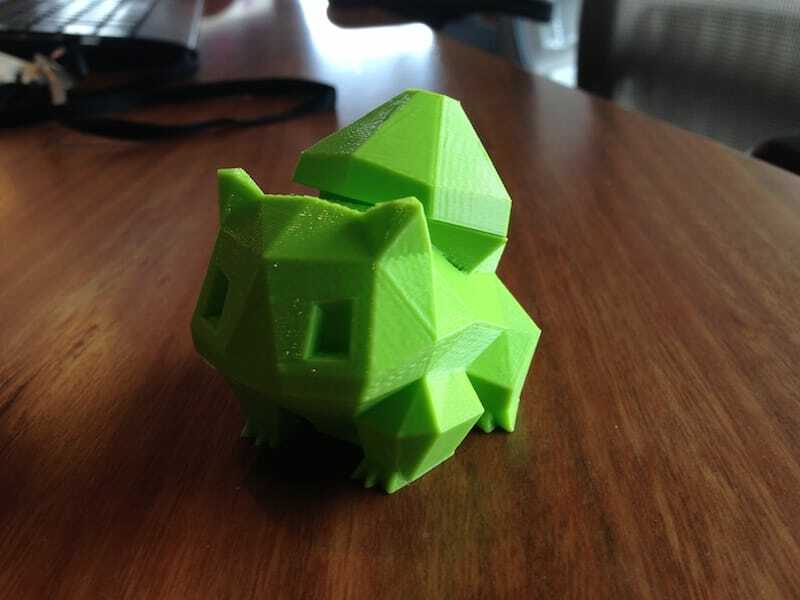 Working at the Library, it’s not uncommon for some to approach me in the Makerspace and ask me directly to build a 3D model to print for them. Most of the time after listening to their requests, I smile and offer to teach them how to build their own 3D model to print, pointing them to the classes on offer at the Library. But once in a while I can’t help but say yes. 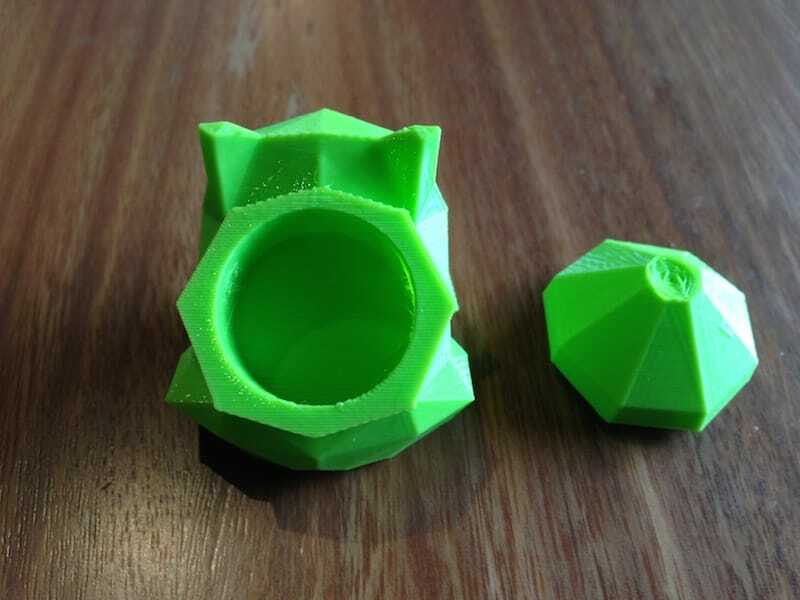 In this case, one of my colleagues from the City of Melbourne approached me to discuss the possibility of creating a ring box for his future fiancée. Being a total romantic at heart, I was happy to help, but that’s when he dropped the twist to this request. 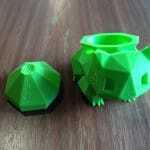 “Bulbasaur? 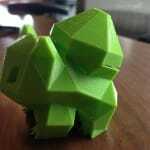 Bulbasaur? Like in Pokemon?” I smiled, while my brain was doing back flips. So as you can see, Bulbasaur is a main player. Who knew? On to building the ring box. 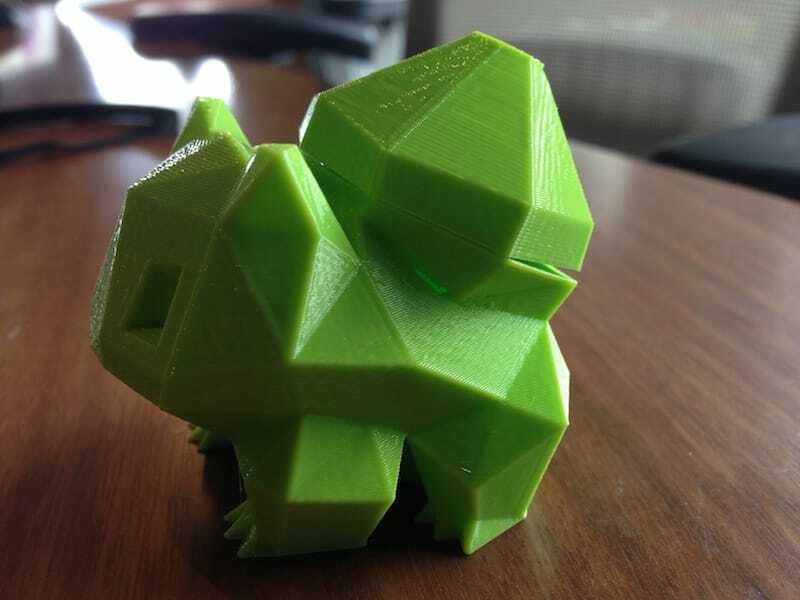 When the Library first opened, the Makerspace team started printing out a large number of 8-Bit Pokemon to show how the 3D printers worked, and on occasion, give them away as gifts. 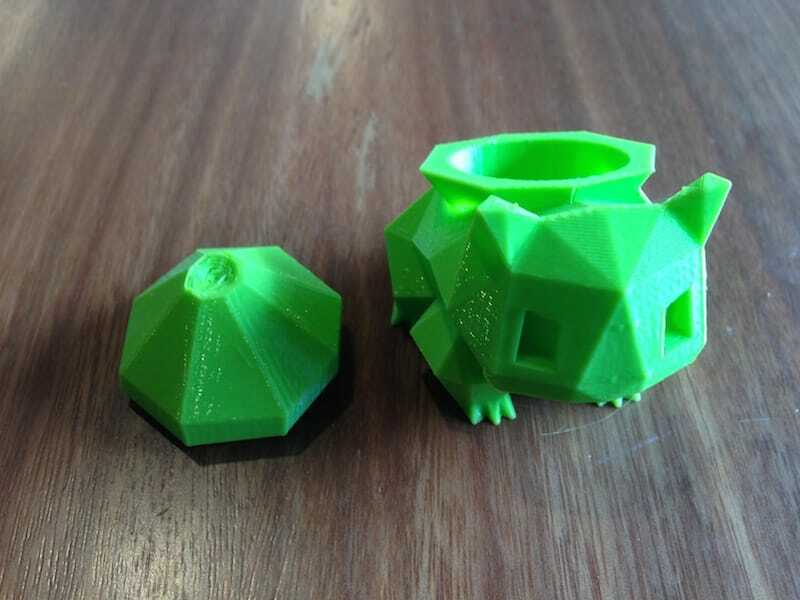 Luckily my colleague has seen one of these 8 Bit Bulbasaur, and after a brief discussion, we had a plan to turn this model into an engagement ring case. 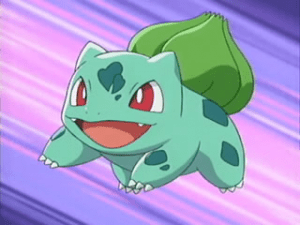 The idea was to modify the back of Bulbasaur to make the top of the bulb removable to reveal a hollow which would contain the ring. Now with a workable idea, I turned to a fun and fast CAD app to do the final design work. As I uploaded the STL to Tinkercad, I was able to separate and then create the hollow and top parts of the design. By extending a cylinder to form a plug from the bottom of the bulb, the top piece would be able to fit press into the main body, and hold it flush before this Pokemon’s hidden treasure was revealed at the right time. up the top as it is a tight fit. 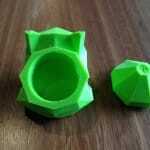 Last week, the final green Bulbasaur engagement ring box was picked up from the Makerspace and I’m waiting to hear the good word from the big event. If she doesn’t say yes, she’s missing out on a great guy who gets what she loves.